Each lead is filtered for obvious mistakes before being sent in real time to the local professional member. 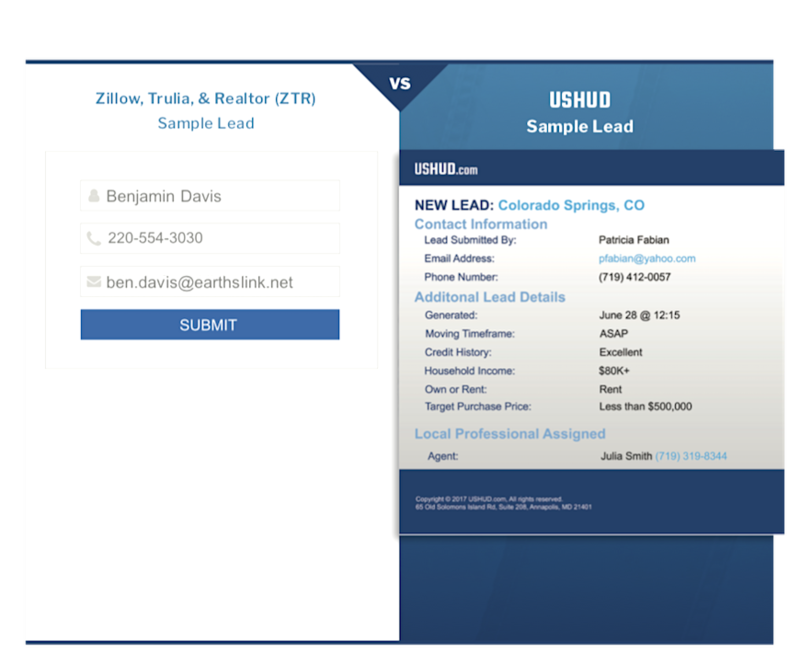 USHUD Cooperative leads have more information than typical leads. The additional information is designed to make building rapport quick and easy. USHUD also sends an auto responder in real time to each lead in order to prepare the buyer for your call. Extensive studies indicate that shoppers of all types go online to sites such as Amazon, Ebay, Etsy, Zillow, Realtor or USHUD for faster results and to save money. Our most successful members speak to these points immediately by presenting their superior service and negotiation skills as benefits to potential buyers and sellers.